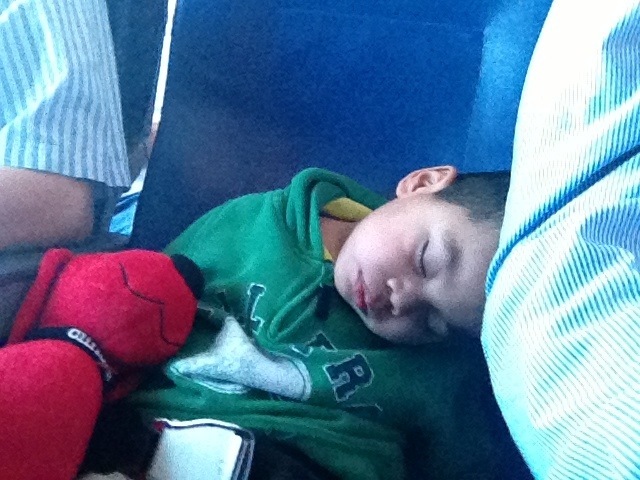 This is Elias on the plane, passed out beside his father. I was sitting by Levi, who kicked the seat in front of him and then threw up. I picked the wrong kid. Oh no! In the bag, I hope? Of course not, right?